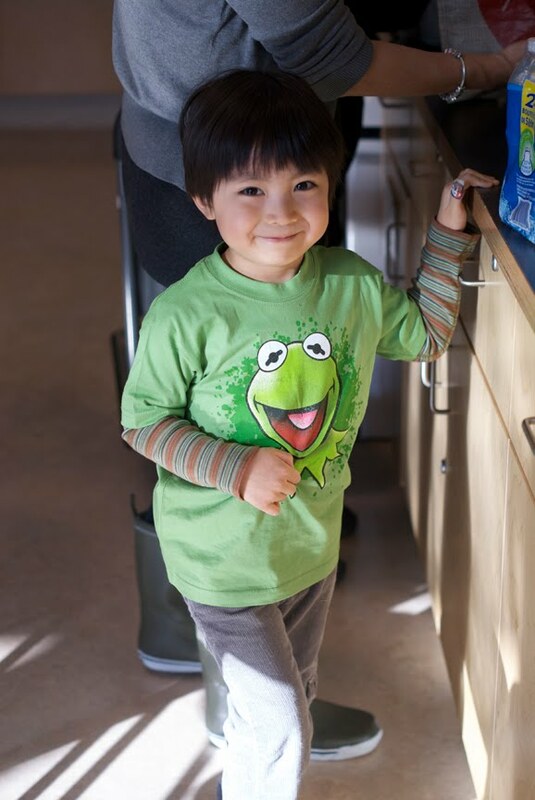 How could my little monkey cutie nephew be 4 years old already? It feels like just yesterday I remember holding him for the first time, this teensy thing in a mini Canucks newborn toque. Now Brody is obsessed with cars and is sweet and sensitive and funny and full of questions and is just the cutest little boy. 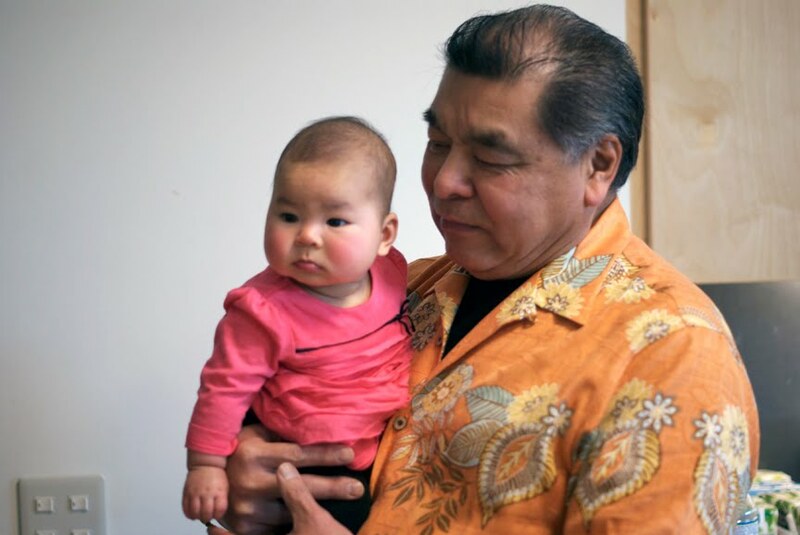 Our family clan is growing and growing… my sister Leanne has three children now, and my other sis Shelley has two girls! And… yes… when I say our family is growing… so is my own tummy. I’m also expecting a baby! I’m due in August of this year and I found out it will be a baby boy. 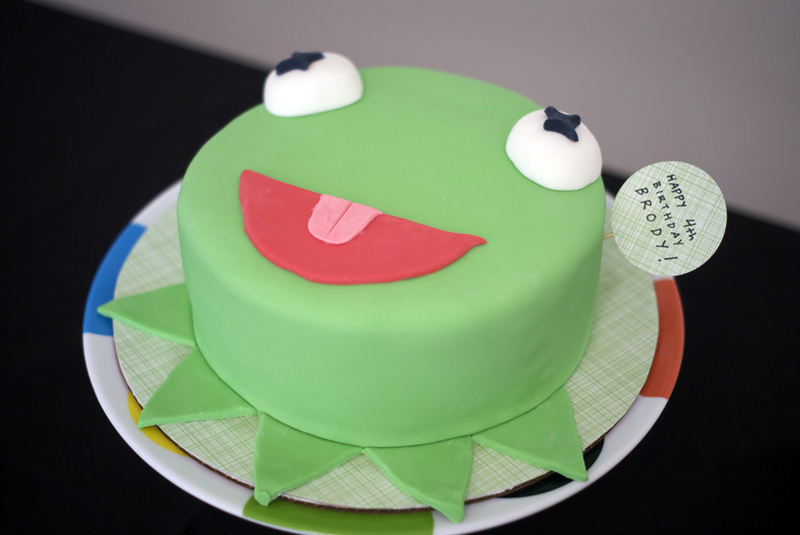 For Brody’s birthday, I made him a Kermit cake, chocolate with vanilla buttercream, and matching frosted green cupcakes. 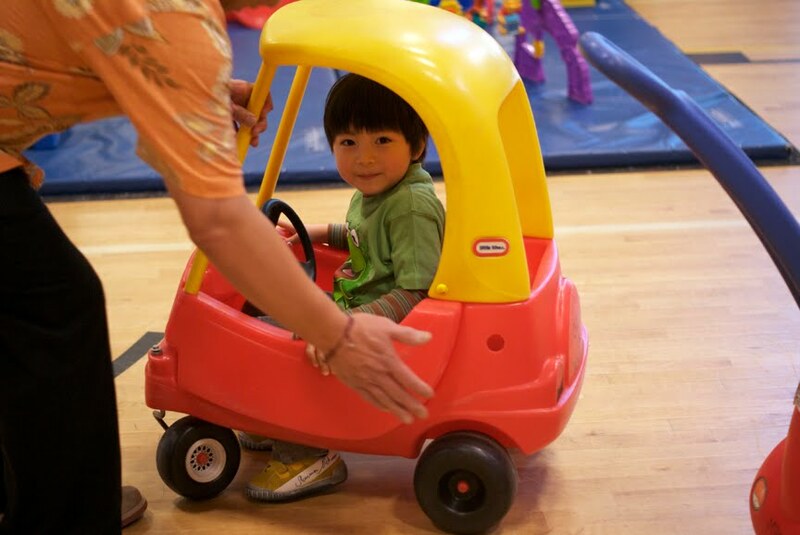 Brody and his little buddies ran around in a gym full of little cars, balls, a bouncy castle and gymboree gear. To be a little kid again with none of the worries and sadness and stress of real life! Children get to be children only once. It seems so very special to me right now. Happy (belated) birthday to my lil BroBro! Auntie Lynds loves you lots! 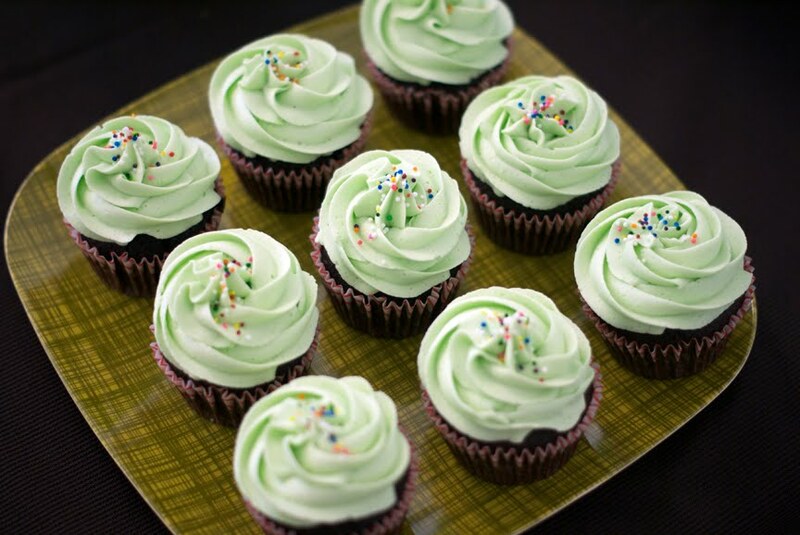 Baby Face Cupcakes – Baby Shower! Yay! Congrats! Love the cute cake too! Lyndsay – such wonderful news! I am so excited for you and hope you are feeling good. And Happy 4th to Brody! Congratulations Lyndsay on your soon to be, beautiful son! How exciting! what a wonderful group/herd/gaggle/flock/gang of cousins he will have to grow up with! I hope I get to meet him this summer! My step-son turned five in November and he just fell in love with your angry birds cake and he asked me to make it for him, it turned out great! He was so happy! Congrats Lyndsay!! Glad to hear such a great news..no wonder i haven’t been seeing your cakes or cupcakes for a while and was wondering about you! How cute! I just love Kermit! Aw congrats, Lyndsay!! Can’t wait to see you at the writer’s fest in a couple weeks! Hugs to you!! Cute!! Congratulations, we’re so excited for you! You make amazing cakes! They are all so bright & beautiful. I would almost feel bad cutting into one of them LOL! Love your cakes so inventive! My daughter rather home made cakes. Your cakes are terrifice. 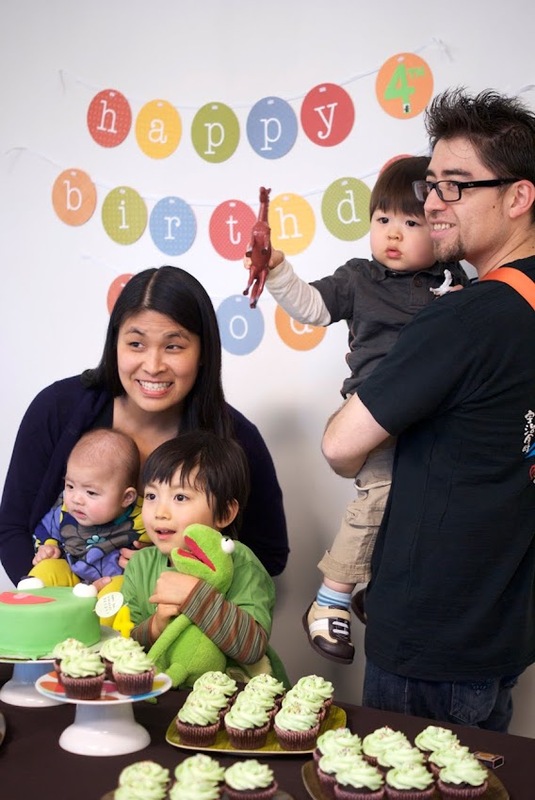 I can’t wait to start going through your list to get ideas for our next birthday party! This is adorable! Love Kermie! You’re really an artist ! What a wonderful cake, your nephew must have been thrilled! And congratulations!!! 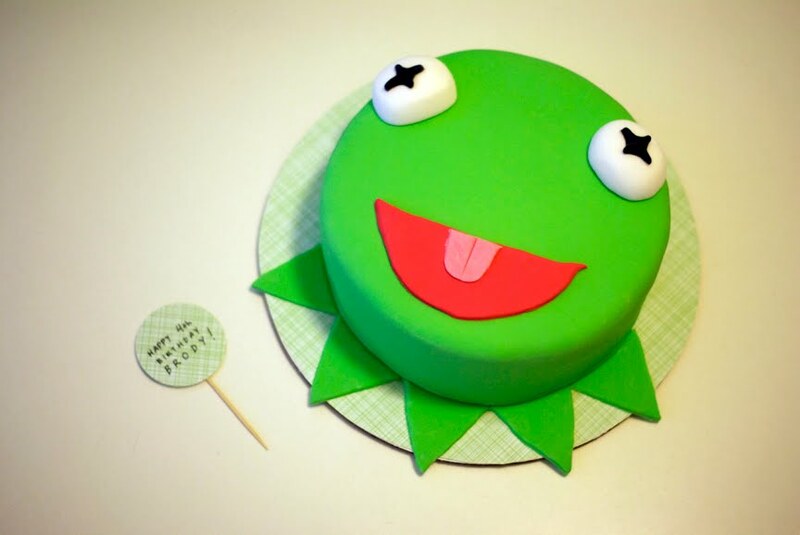 Such a cute cake, huge congratulations on your baby news and I hope Brody enjoyed his birthday, looks like he’s a big Kermit fan! congratulations !! very beautiful ! so fabulous!!!! I love your works!!!! It makes me smile, thank you! 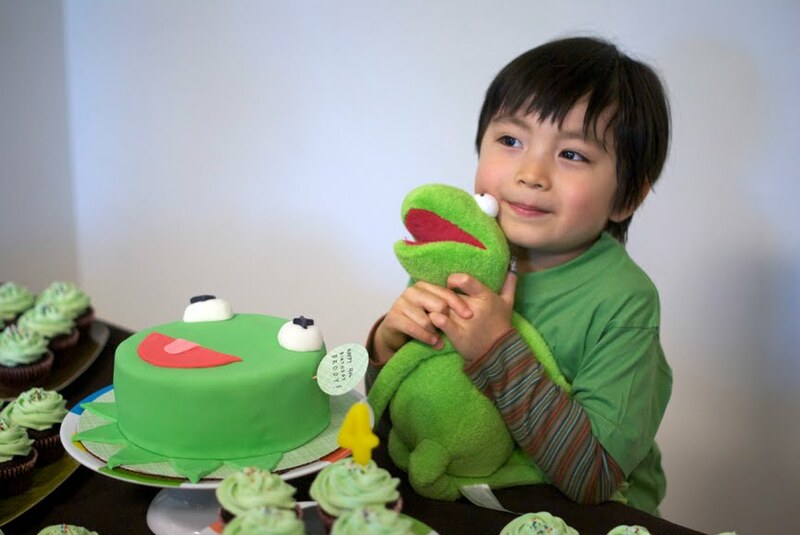 Your little brother AND the kermit green cake! que bellas tortas!! se ven geniales esas decoraciones! y tienen pinta de estar riquisimas!!! exitos!! Ooh! I love Kermit! the cake and cupcakes look awesome! And congratulationes! @cupcakes argentina – thanks so much!